(W) James Robinson (A/CA) Greg Hinkle. Are the drugs wearing off, or just kicking in? 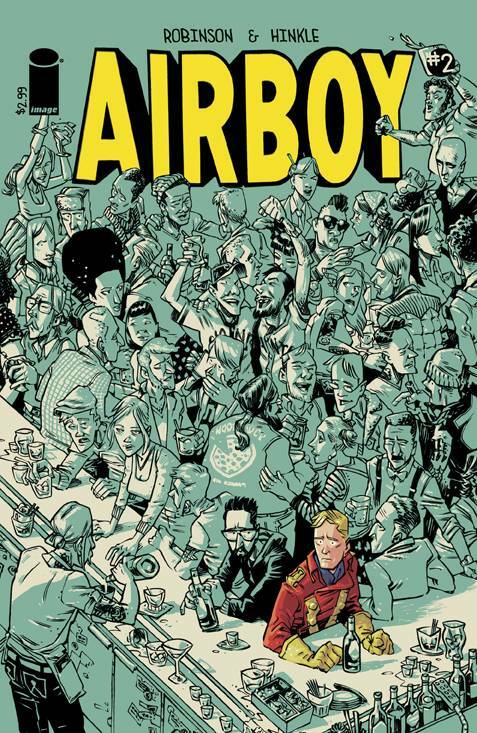 After a night of debauchery, James and Greg have a hell of a hangover in the form of 1940s comic book character Airboy. The aviation hero is curious to learn what the future has to offer. Hey, you try denying a reality you've already altered..